Edgar Cayce (born on 18 March 1877 in Hopkinsville, Kentucky, USA, died on 3 January 1945 in Virginia Beach, Virginia, USA): American mystic, “healer” and medium; author of thousands of stenographically recorded answers to many different questions, starting with diagnoses and recipes for patients and up to information about the reasons of downfall of former civilizations. Since most of records were made in a special state of trance, resembling sleep, he got the nickname of “the Sleeping Prophet”. 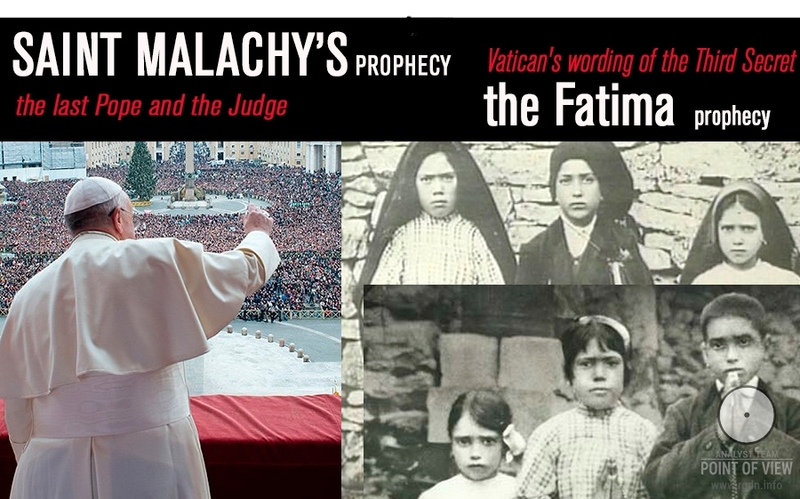 His prophetic abilities may be compared to the unique foresight gift of great Nostradamus and legendary Bulgarian clairvoyant Vanga. 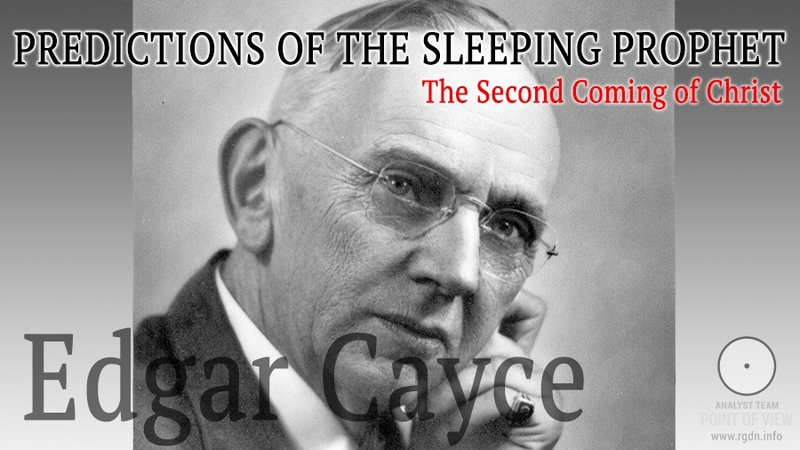 Edgar Cayce performed medical diagnosing via clairvoyance during forty-three years. He left stenographical records of about 30,000 such diagnoses to the Association for Research and Enlightenment, in addition to hundreds of comprehensive reports containing patient evidences and doctors’ notes. In the United States there live hundreds of people who are ready to confirm the accuracy of his diagnoses and efficacy of his suggestions. 2001 A.D.: The shift of the magnetic poles of the Earth associated with Second Coming of Christ. 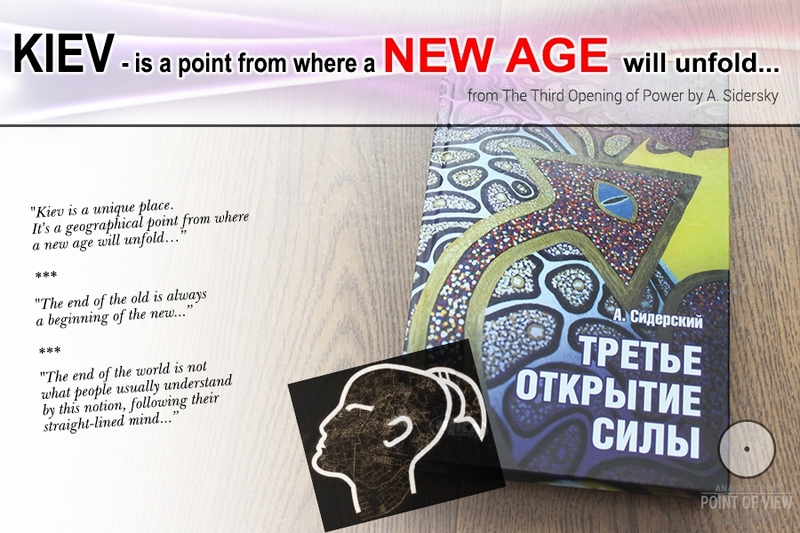 The mission of the Slavic peoples – said Edgar Cayce – is to change the nature of human relationships, to free them from selfishness and coarse material passions, restore on a new basis – on love, trust and wisdom. From Russia comes the hope of the world – not the Communists, not the Bolsheviks, and free from Russia! 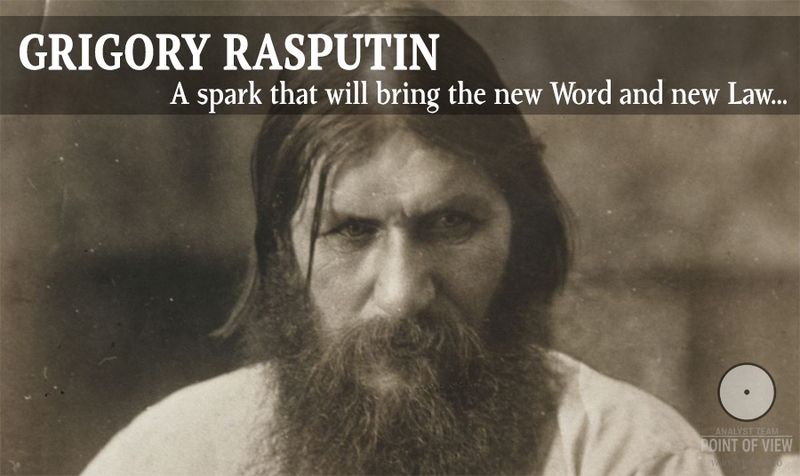 It will be years before that happens, but that the religious development of Russia and give hope to the world. This physic reading was given by Edgar Cayce at the home of Mr. and Mrs. T. Mitchell Hastings, 410 Park Avenue, New York City, this 19th day of January, 1934, in accordance with request made by those present. Present: Edgar Cayce; Hugh Lynn Cayce, Conductor; Gladys Davis, Steno; Carolyn B. Hastings, Josephine L. B. Macsherry, T. Mitchell Hastings. Time: 11:40 to 12:40 A.M.
6. When, where, is to be this one? In the hearts and minds of those that have set themselves in that position that they become a channel through which spiritual, mental and material things become one in the purpose and desires of that physical body! 7. As to the material changes that are to be as an omen, as a sign to those that this is shortly to come to pass – as has been given of old, the sun will be darkened and the earth shall be broken up in divers places – and then shall be proclaimed – through the spiritual interception in the hearts and minds and souls of those that have sought His way – that His star has appeared, and will point [pause] the way for those that enter into the holy of holies in themselves. For, God the Father, God the Teacher, God the director, in the minds and hearts of men, must ever be in those that come to know Him as first and foremost in the seeking of those souls; for He is first the God to the individual and as He is exemplified, as He is manifested in the heart and in the acts of the body, of the individual, He becomes manifested before men. And for those that seek in the latter portion of the year of our Lord, He will appear. 9. As to those things that deal with the mental of the earth, these shall call upon the mountains to cover many. As ye have seen those in lowly places raised to those of power in the political, in the machinery of nations' activities, so shall ye see those in high places reduced and calling on the waters of darkness to cover them. 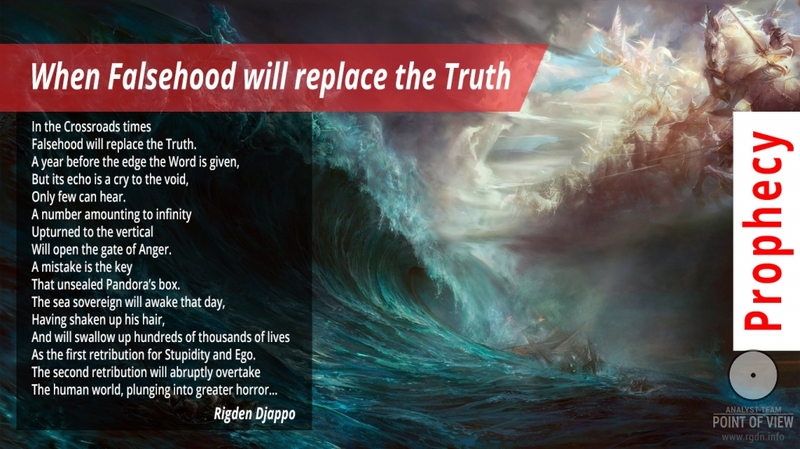 And those that in the inmost recesses of themselves awaken to the spiritual truths that are to be given, and those places that have acted in the capacity of teachers among men, the rottenness of those that have ministered in places will be brought to light, and turmoil and strives shall enter. And, as there is the wavering of those that would enter as emissaries, as teachers, from the throne of life, the throne of light, the throne of immortality, and wage war in the air with those of darkness, then know ye the Armageddon is at hand. For with the great numbers of the gathering of the hosts of those that have hindered and would make for man and his weaknesses stumbling blocks, they shall wage war with the spirits of light that come into the earth for this awakening; that have been and are being called by those of the sons of men into the service of the living God. For He, as ye have been told, is not the God of the dead, not the God of those that have forsaken Him, but those that love His coming, that love His associations among men – the God of the Living, the God of Life! For, He is Life. 12. (Q) What are the world changes to come this year physically? 16. (Q) Who will uncover the history of the past in record form which are said to be near the sphinx in Egypt? 19. (Q) Is there any further counsel or advice for us gathered here, which will enable us to understand better our responsibility? (A) All gathered here in the name of God who is the Father, to those that seek to know His ways – and who is as something outside the veil of their understanding unless sought, even as the counsel of the Father, of that God-Mother in each soul that seeks to know the biddings; not as one that would reap vengeance but rather as the loving, Merciful Father. For, as ye show mercy, so may the Father show mercy to thee. As ye show the wisdom, as ye show the love of thy fellow man, so may the love be shown, so may the wisdom, so may the guiding steps day by day be shown thee. Be ye joyous in the Lord, knowing that He is ever present with those that seek His face. He is not in heaven, but makes heaven in thine own heart, if ye accept Him. He, God, the Father, is present and manifest in that ye mete to your fellow man in thine own experience. Would ye know the Father, be the father to thy brother. Would ye know the love of the Father, show thy love to thy faltering, to thy erring brother – but to those that seek, not those that condemn. So, the Sleeping Prophet, just like other famous seers, indicated the Messiah advent. Many points remained withheld in his psychic readings, but we won’t undertake to provide a detailed decryption. Our task is only to refer to relevant mentions, and those are obviously there.